In this collection, Arab and Arab American feminists enlist their intimate experiences to challenge simplistic and long-held assumptions about gender, sexuality, and commitments to feminism and justice-centered struggles. Contributors hail from multiple geographical sites, spiritualities, occupations, sexualities, class backgrounds, and generations. Poets, creative writers, artists, scholars, and activists employ a mix of genres to express feminist issues and highlight how Arab and Arab American feminist perspectives simultaneously inhabit multiple, overlapping, and intersecting spaces: within families and communities; in anticolonial and antiracist struggles; in debates over spirituality and the divine; within radical, feminist, and queer spaces; in academia and on the street; and between each other. Gretchen Head, “New Trends in Arab Feminist Thought, “ Women’s Studies Quarterly, Vol. 41, Iss. 3&4, Fall/Winter 2013, 287-289. Laila Farah, “Arab and Arab American Feminisms,” Mashriq and Mahjar, Vol. 1, 2013, 124-126. “New Texts Out Now: Rabab Abdulhadi, Evelyn Alsultany, and Nadine Naber, Arab and Arab American Feminism,” Jadaliyya, June 26, 2013: AAF_Jadaliyya Interview 2013. Waleed Mahdi, “Arab American Feminisms: Gender, Violence and Belonging,” Arab Studies Quarterly, Winter 2012, Vol. 34, Issue 1, 58-60. 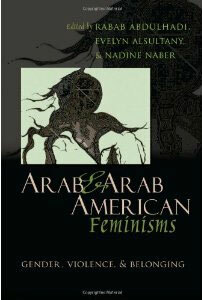 Marilyn Brady, “Arab and Arab American Feminisms,” Me, You, and Books, April 24, 2012. Triana Kazaleh Sirdenis, “Arab and Arab American Feminist Narratives,” Against the Current, 157, March/April 2012, 30. Yasmin Nair, “Arab American Feminisms: Gender, Violence and Belonging,” Make/Shift Magazine, Iss. 11, Spring/Summer 2012, 56-57. Arab and Arab American Feminisms, Listed in the “Editor’s Picks,” Middle East Report (259), Vol. 41, Summer 2011. Amanda Quraishi, “Review: Arab and Arab American Feminisms, Tikkun Daily, April 14, 2011. Theri Pickens, “Take Lessons: An Intellectual Master Class,” Al Jadid, Vol. 17, Iss. 64, 2011. 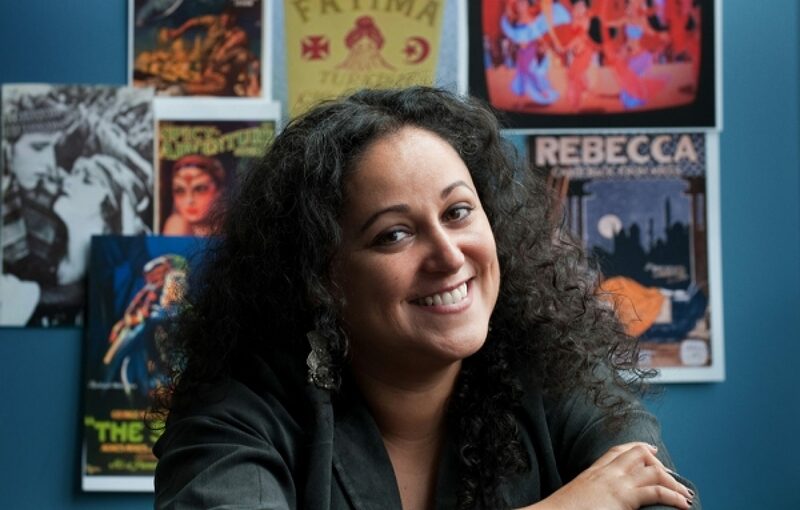 Blogger Melissa, “Arab American Feminisms: Gender, Violence and Belonging,” The Feminist Texican, July 14, 2011. Mejdulene Shomali, “Review of Arab and Arab American Feminisms, Social Justice, Vol. 37, Iss. 4, 2011/2012. Penny Johnson, “The MIT Journal of Middle East Studies, Gender, Nation, and Belonging,”Al-Raida, Vol. XXIV, Iss. 116-117, Winter/Spring 2007, 79-81.